Bill English has just announced he's standing down as Leader of the National Party and resigning from Parliament. This was an event that had been widely anticipated taking place at some point this term, and I'd personally expected it to take place around the middle of the year. BIll's decision to leave the leadership now does make a lot of sense though. The speculation about the leadership that had been triggered in the past two weeks was likely to only intensify until Bill did stand down. By leaving now, Bill not only gets to leave on his terms, but takes the heat out of what could have been months of distracting speculation about the party leadership for National. National's caucus will vote on its new Leader in the next couple of weeks. I imagine the process would be broadly similar to what we saw following John Key's resignation in 2016, with a new leader to be in place by 27 February. For the time being Paula Bennett will be remaining as Deputy. Bill's legacy both as Finance Minister and Prime Minister includes, but isn't limited to, returning New Zealand's economy and Government books to a steady footing following the Global Financial Crisis and Canterbury earthquakes, introducing the widely applauded social investment approach to Government thinking, and leading National to the remarkable 44.4% result in the 2017 election, an unprecedented result for a then three term Government. 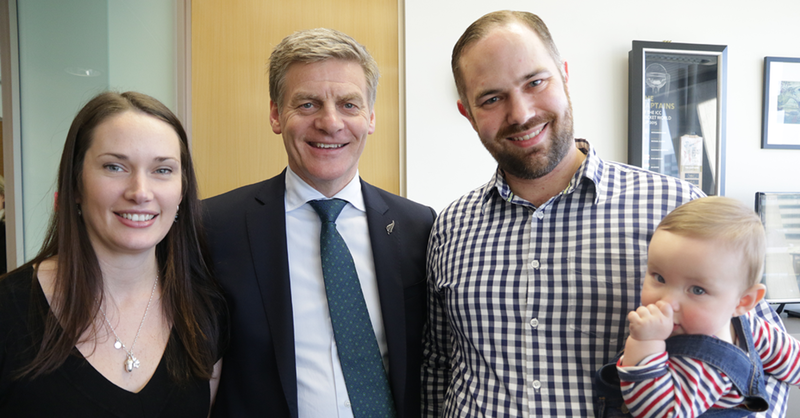 I'd also like to take this opportunity to thank Bill English for his leadership of the National Party, his service as Prime Minister and Finance Minister, and his work as an MP over 27 years. I had the great fortune of advising Bill English during my time working at Parliament, including his time as Prime Minister, and I wish him all the very best for his future.